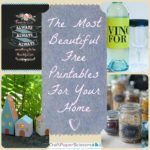 I’ve enjoyed all the new and inspiring ideas that have been shared during National Craft Month most. 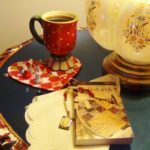 I’ve learned of a lot of blogs that I’ve never seen before, with tons of tips I’m sure. I’ve only been able to skim through some so far but can’t wait to start visiting regularly and get started making some of the projects. I’ve not had much time this month to work on crafts, but I have definitely found lots to try. 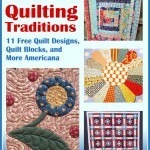 Thanks for providing such great craft info to celebrate National Craft Month! I thought the canvases were quite nice. They would really be nice to have your daughter help make them, them hang them in her room. I think she would be very proud of them. I loved this idea a lot. My DD and I started one. this project is awesome!!! i am re-doing my bedroom in purple with butterfly theme….this is gonna be a GREAT thing to make for wall decor for my new bedroom! thank you soooooo much for this great idea!!! 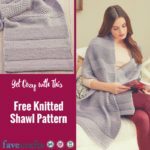 I have been knitting scarves from the new Twirl yarn…they look great and are so easy to do but look like they are super complicated! Thanks for another idea for my heat gun. I need the tips to fully make use of my craft supplies. 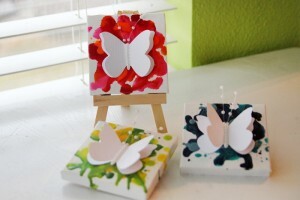 i would love the win this mini butterfly crayon canvases, someelse my granddaughter and i can do together. I have never really spent that much time going to different sites, till now. I love those butterfly canvases and even though they were more for a young girls room, I would love them above my bed to replace the old picture I have there. My crafting has ben limited since I retired. This wil gives me a reason to start again. 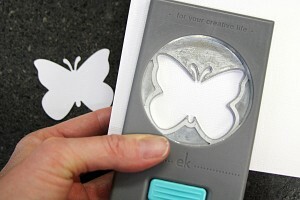 I love the cryan butterfly canvase.Love learning new ways of crafts.Thanks for sharing and a chance to win ! 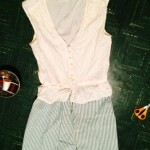 Of course I love the give-a-ways, but the daily projects are awesome and have given me soooo many ideas. 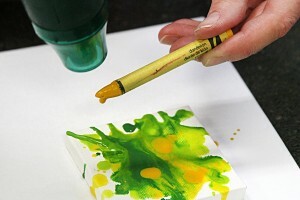 I am definitely going to have to try to melted crayon canvas. What an awesome give-a-way! 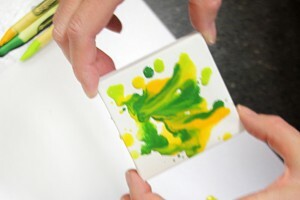 My daughter and I just bought one of these itty easels and canvases yesterday! She wanted to melt crayons n it and use it in her dollhouse! I craft all the time. Even here at work I have been asked to make thing up for special sales. Doing 2d type by adding layers of heavy colored paper is one of my best eye catchers. My Grands and I love to recycle and re direct lots of things. 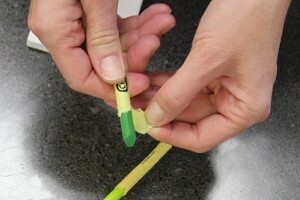 From broken crayons to worn out shoes we use them for something very important. Shoes make wonderful flower pots. Adds some interest to the stairs going into the house. I have even used them (old shoes) to hold things in my garden tool shed. 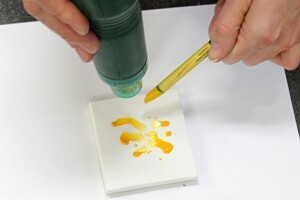 Reading the daily tips and suggestions just adds more ideas that I can use for all kinds of fun projects. I love to try new things. 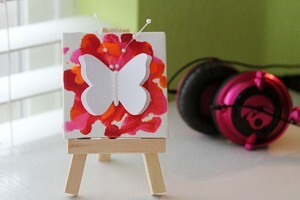 The butterfly canvases are really cute! I haven’t made anything yet but I plan on picking up supplies for this one and the bunny pillows this weekend. My friend is having a baby so I’d love to make a blue bunny for him. 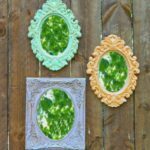 What I like most about National Craft Month is I realized that some craft items look hard to do and by seeing step by step pictures, you realize that they really are simple. I haven’t make anything yet because I try to have two to three craft projects going at the same time and I am at my limit now. If it’s more than that, sometimes the projects do not get completed. I love looking at all of the different crafting ideas. So many of them are added to my list of projects. What fun! 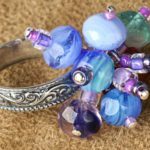 Honestly, I just found out it is national craft month, and I have missed everything! 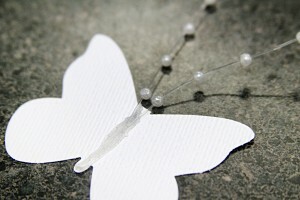 Really love this project, so cute and clever, easy to do. Really stylish on that wall! This project idea is really cute! It’s so much fun learning how to do all these different crafts. 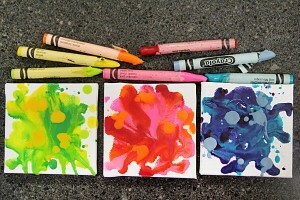 I love the melted crayon idea. This made my mind wander through all sorts of ideas to do with this. I am thinking about trying to do my nieces initials for them. What a great gift idea. Such a cute craft! 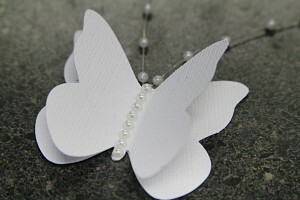 I love the butterflies, I think I may try to apply the crayon to them and place clips on the back so I can apply them to gifts! 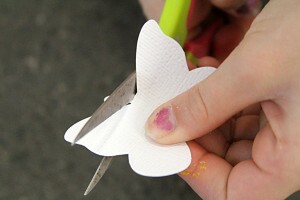 They may also look cute on some summer flower displays! I am loveing ALL your ideas! Been seeing lots of interestng new projects & now have lots of favorite sites saved! I’m in the middle of a project that I want to complete before starting something new. Thanks for the chance to win. 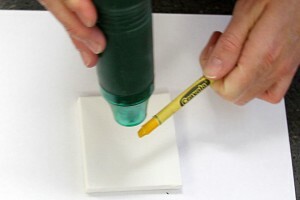 What a great and simple idea! Thanks for sharing this one I can think of lots of ways to modify the basic task to create lots of fun accents for a room! I have enjoyed all the new crafts! And I have learned a lot about the differents crafts out there too. I have loved seeing all the new ideas in all the crafting mediums. 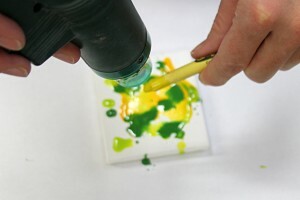 I want to try some of these ideas, especially today’s butterfly canvases – I have a spot where they would look great, done in shades of blues like the Blue Morpho butterfly. I am enjoying all the different crafts. I am always looking for something new to do and there are just so many great ideas here that I want to do everything at once. Thankfully I have 2 great craft stores right near me. I like all the new ideas. I’m very inspired to try new things. But I am also inspired to pick up my crochet needle and finish my blanket. 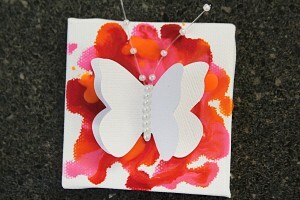 I’m learning lots and looking forward to trying the mini canvas crayon butterfly pictures. It looks easy with pro. looking results. my daughter saw this and wants to make them and all the other projects you have. 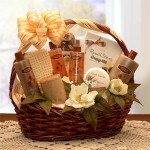 her so that I can give it to her as a surprise! National Craft Month got me thinking crafting again, I reorganized my supplies, counted my knitting needles and crochet hooks, and found so many new patterns for a rainy day! I’m excited to get back to crocheting afghans and knitting socks! 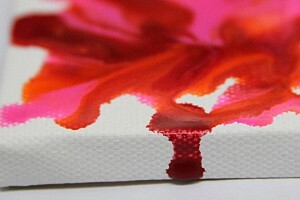 Splatter painting, something new to try. What a great idea. I love this craft month! So many great ideas. 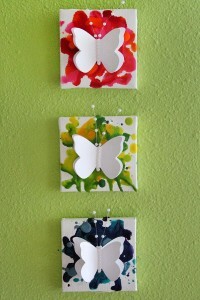 I am going to Oregon next month to visit 3 of my fave kids and we are definitely making the butterflies on canvas. 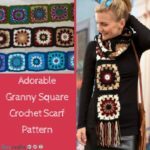 My Grand daughters would love these, and also they would help me make them! 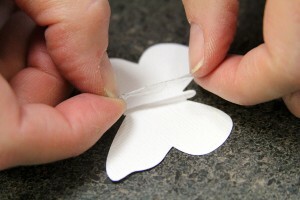 I have enjoyed all the new crafts and I am in the process of incorporating many of them into my classroom activities. I do have to modify some since the children I work with range in age from one year to five years. I can’t wait to read and to more! I’m always looking for new ideas!